I have an iPad and an iPhone. I’ve become accustomed to using multitasking gestures on my iPad’s screen—pinching with four fingers to return to the Home screen, for example. I then move to my iPhone, try the gesture, and it doesn’t work. Is there anything I can do to have gesture control over some of the iPhone’s features? Multitasking gestures are not available on the iPhone or iPod touch—no, not even in iOS 7. But if you have an aversion to the current avenues for accessing the Home screen and other features, I can offer another means. That means is the iOS’s Assistive Touch feature. 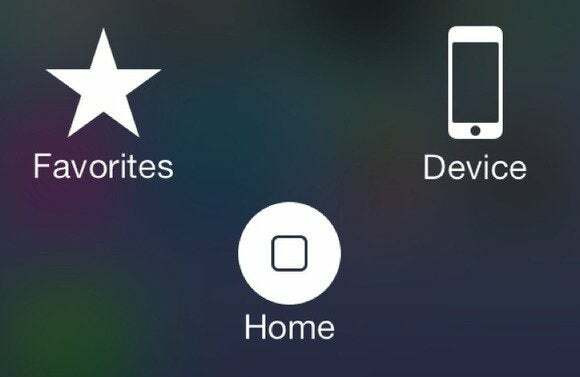 Designed to help those who have difficulty manipulating the interface with their hands, it’s a feature that can help those who prefer to avoid the Home button (or can’t use the Home button because it works intermittently or not at all). You’ll find it by going to Settings > General > Accessibility in both iOS 6 and iOS 7. Scroll down this screen and tap Assistive Touch. On the resulting screen toggle the Assistive Touch switch to On. When you do this a gray square will appear on the bottom-left of your iPhone’s screen and will remain on the screen regardless of which app you’re using. It will fade shortly after it appears. You can move it around the screen by tapping and dragging it. Some of the options available via Assistive Touch. It hardly mimics mutitasking gestures and some may find the idea of having to tap their iPhone’s screen twice versus pressing a Home button once a waste of a perfectly good tap. But it’s there and available should you need or desire it.